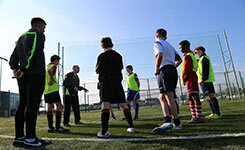 Our Training Camps is where each team will be able to create an amazing experience through soccer or rugby. Destinations include the likes of Cambrils Barcelona, Manchester UK, Alfamar Portugal and more. All our packages are tailor made for your club’s needs.